Andrew Cores Family Law Group, a division of Esp Kreuzer Cores LLP, announces the hiring of Associate Attorney Shanna N. Crafts. 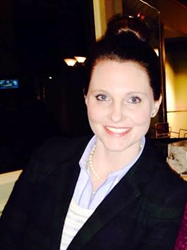 “We are pleased to welcome Shanna to the firm. We look forward to her participation in the continued growth and success of Andrew Cores Family Law Group,” says Managing Partner Andrew Cores. Andrew Cores Family Law Group, a division of Esp Kreuzer Cores LLP located in Wheaton, Illinois, is pleased to announce the hiring of Associate Attorney Shanna N. Crafts. Prior to joining Andrew Cores Family Law Group, Crafts managed her own law practice in West Chicago. Crafts will concentrate her practice on family law matters including divorce, child support, child custody, alimony, spousal support, visitation, and litigation. She obtained her J.D. from Southern Illinois University School of Law and obtained her B.A. from Westminster College. While attending law school, Crafts was appointed CaseNote/Comment Editor for the SIU Law Journal and she was also chosen to mentor fellow law students as a Taylor Mattis Fellow. She received the 2014 Cali Award of Excellence in Labor Law and the 2012 Cali Award of Excellence in Lawyer Skills II. Crafts is an active member of the Illinois State Bar Association, Chicago Bar Association, the DuPage County Bar Association, and the DuPage Association for Women Lawyers. Established in 1996, Andrew Cores Family Law Group is a Division of Esp Kreuzer Cores LLP. The Illinois family law firm has office locations in Wheaton, Oswego, and Downtown Chicago. The firm represents individuals and businesses within DuPage County, Cook County, Kane County and Kendall County. If you are seeking knowledgeable and effective representation for your family law matter contact the veteran attorneys at Andrew Cores Family Law Group today. Call 630- 871-1002 or submit an online contact form to schedule your initial appointment.